The UPTOWN, one of TORONTO’s finest vaudeville houses opened in 1920 and was demolished for a condominium development in 2003 <PHOTO ABOVE>. 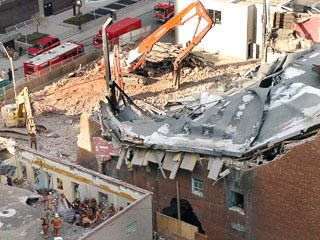 It met an unpleasant end, collapsing inward while being demolished, killing one young man and wounding fourteen others. 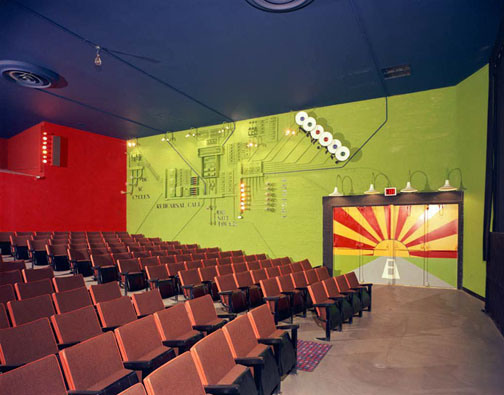 A cinema with 3,000 seats in one auditorium, the Uptown was eventually converted into one of North America’s first multiplexes in 1969. The Uptown 1, 2 and 3 played major Hollywood releases, and the Backstage 1 and 2 regularly screened art films. 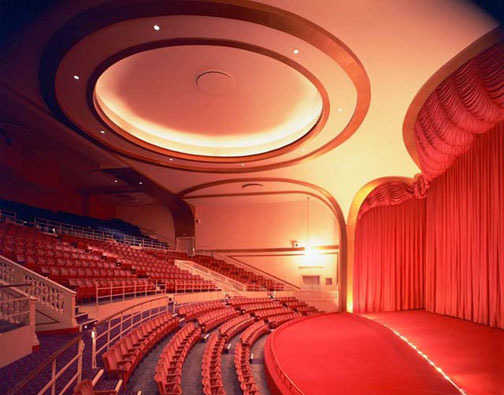 In 2001, new regulations required wheelchair access to all theatres. The Uptown’s owners refused to lay out the required $700,000, and sold the building to developers who knocked it down. 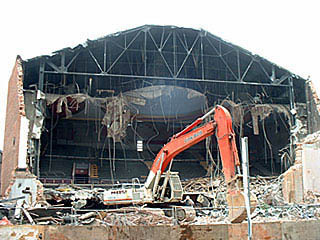 During demolition, a large section of the theatre collapsed after a vital steel support beam on a roof truss was cut. The Uptown fell in on itself, taking an adjacent language school with it. This entry was posted in Culture, What's On & Entertainment and tagged Canada, Ontario, Remembering the Uptown Theatre Toronto, Toronto, Toronto theatres. Bookmark the permalink.